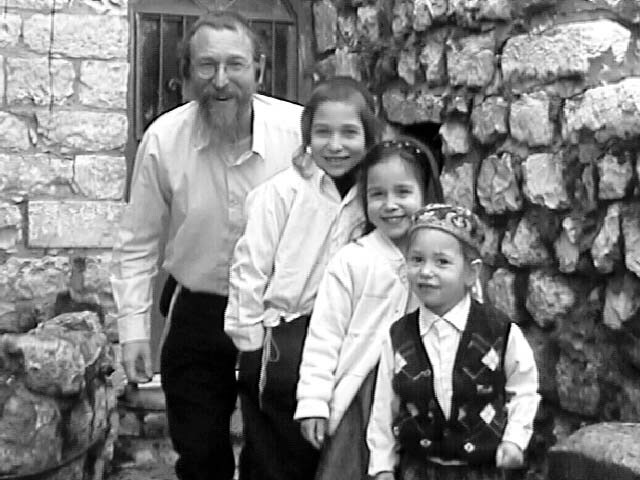 Chayim and his children David, Hannah and Aharon. 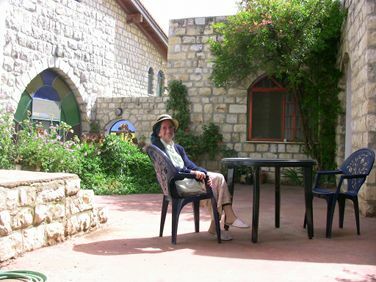 Bracha, sitting in the courtyard of our new house, 2009. 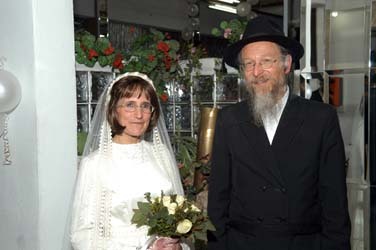 (Our property goes from the flat roof corner near Bracha's head, and to the right.) 4 Former Hadar HaTorah students all learn and Daven mornings in the Nadvorna Shul in Tzfat in 2009. 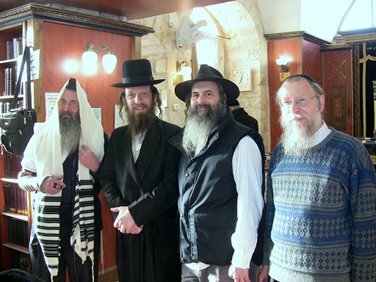 From left to right: Yaakov Chairsky (Hadar HaTorah 1990-1992), Aharon Chaim Markovitz (can't remember exactly when he was at Hadar HaTorah), Yisroel Sandler (Hadar HaTorah 1994), and Chayim Zaklad (Hadar HaTorah YeshivaCations 1991-1993, named "Saklad" then). There is no agreement regarding how to spell the name of our town, Tzfat, in English. In Hebrew, it's spelled with 3 letters: Tzadi, Phei, Taf: צפת. The common English variations include Tsfat (as it sounds), Tsfas, Zefat (on Israeli maps and road signs), and, from the Arab name, Safed. Tzfat (as it is spelled in central bus stations such as Tel Aviv's) is considered one of the 4 especially Holy cities of Eretz Yisrael. Each Holy city is associated with one of the 4 basic elements of the world: earth, water, air and fire. Tzfat is known for its pure air. Tzfat is also known as the center of Kabbalah--Jewish mysticism, dating back to the 1500's C.E. when the Arizal (probably the best known Kabbalist), Yosef Karo (compiler of the Shulchan Aruch) and Shlomo Alkabetz (composer of Kabbalat Shabbat's L'chah Dodi) among others lived here in Tzfat. Please visit again soon. 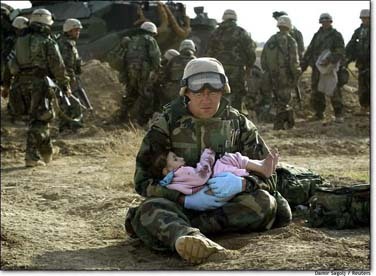 The site will, with G-d's help, gradually contain more and more pages of interest.